Welcome to Day #3 of Chocolate and Hazelnuts Theme Week. 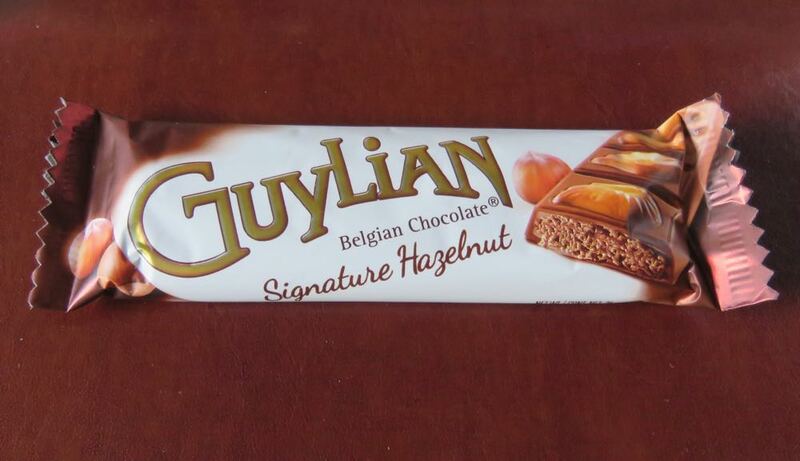 Today's Signature Hazelnut bar was from GuyLian Belgian Chocolate, aka Chocolaterie GuyLian N.V. (Sint-Niklass, Belgium). It might be dismissive to call this attractive bar a candy bar. So I won't. It was more like four pretty confections that were merged into a bar. The bar had four joined segments or squares. Each square was adorned with a different small, but detailed "white" chocolate, sea-themed creature—such as a seahorse or sea shells. These marine morsels also served as "signature" shapes for the company. 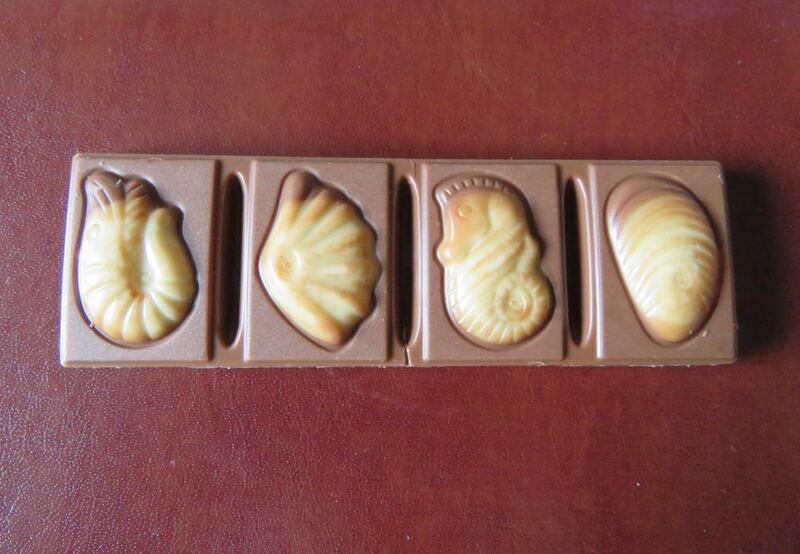 These same shapes can also be found on other GuyLian chocolates. The milk chocolate bar was described as having a praline filling (with finely ground hazelnuts); however, the chocolate (that had a relatively smooth, creamy melt) was blended so thoroughly that the hazelnut flavor was relatively mild.